Wow. Wow. Wow. 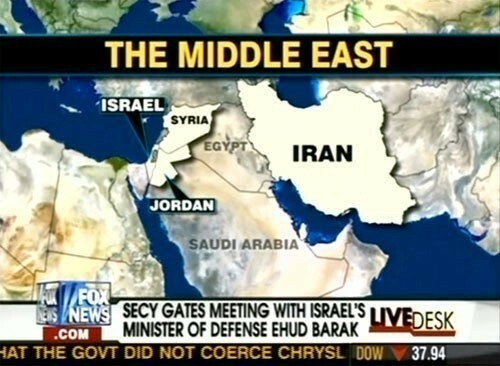 The interwebs have been abuzz with the following image from that epitome of insightful coverage, Fox News. shah mehmood took the oath or not? Most Fox viewers were surprised that Kenya was not on this map, since Obama is a stinkin' ayrab! Dubya has obliterated Eyeraq, How could they show it on the map. Jagtay raho, CP walo! Tumharay sath hath ho gaya hai... And this time, it is not your typical closet Taliban, pait-main-dhaRi, jahil emotional awam, and what you may. It was Shah M Q, the Ex FM, who reiterated -- and that too a bit loudly -- some facts that do not match yours. Time to declare him a kari, too? PS: I still believe that one can (and should) wage war on extremism with honest facts -- and not by Sethi-esque truths.